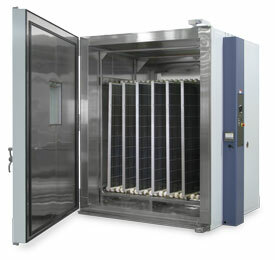 Compact walk-in chambers for testing full-size solar panels or other large products. 4’x4’x7’ or larger interiors. 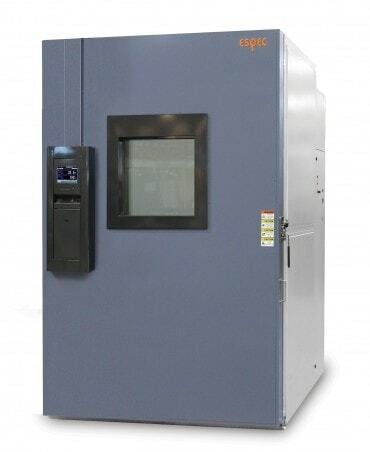 Solid walk-in chambers designed for testing up to 20 PV modules. 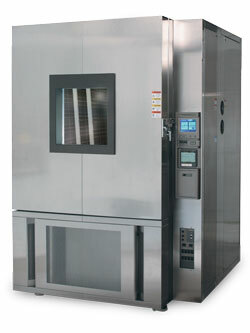 Can do thermal cycle, humidity-freeze, and 85/85 tests.